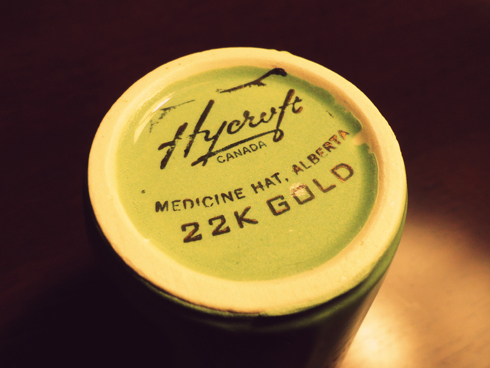 Much like the Hycroft cowboy hat souvenir or the mini Medalta jug, this Hycroft mug is another cool bit of Medicine Hat history I have in my collection. 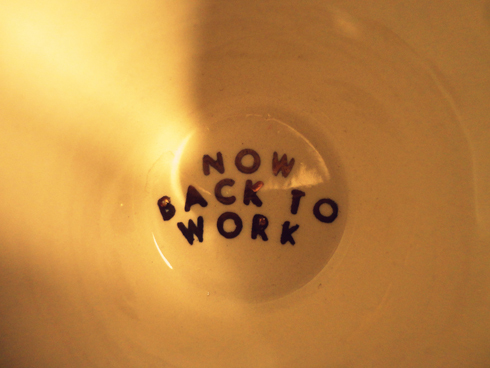 My friend Andrea gave me this, and it's stamped with the classic Hycroft 22K gold paint on the bottom. 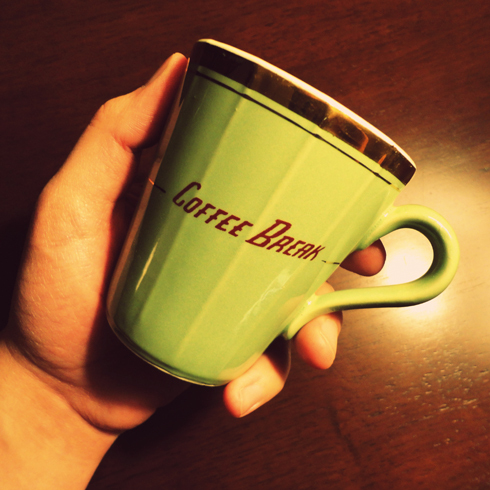 There was another style of mug that seems like the more stereotypical design associated with Hycroft that had a little circular handle for your finger. 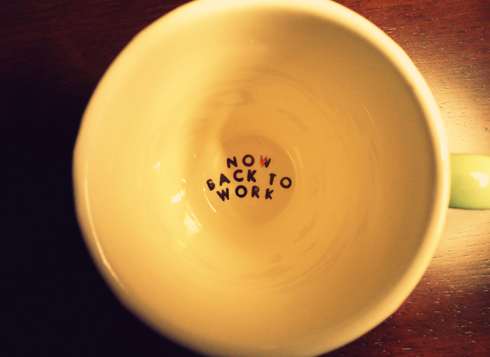 What's cool about this one though is the "Coffee Break" message on the side, and the "Now Back to Work" painted on the inside of the cup. I love the vintage olive colour too. 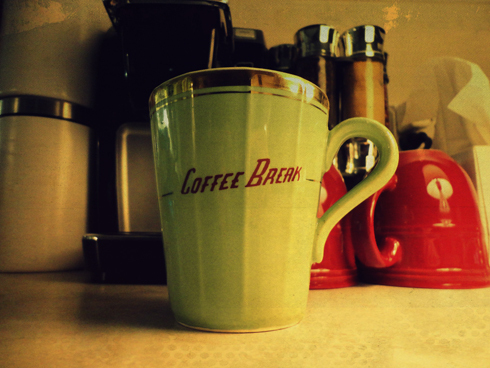 That mug brings back memories … we used to custom order them for our grade school teachers, with their names in gold on the exterior, and give them as presents at year-end.